As winter comes to an end, we want to welcome spring the best way we know how: SHOES. From the platform sneaker to the kitten heel sling-back, whether it is designer or from the sale rack, there is something on this list for every kind of woman. The Cowboy boot is that unexpected trend that none of us thought would come back. Wait…was it ever in? Maybe only Carrie Underwood or Taylor Swift were able to make these boots cool, but now YOU CAN! Switch things up and pair these boots with your favourite pair of vintage jeans, or go for the classic sweetheart look and match it with a cute dress. Want to make a statement but don’t know how to shine from head to TOE? Why not try the Sparkly boot trend?! Think Kendall Jenner on her 21st birthday, a fun way to sparkle all night. This boot is the perfect style to add that little bit of glamour to your Friday night outfit. With the spring season coming up, these boots are still safe enough to wear before it gets too hot in the summer, perfect for that transition season! Remember that pair of heels you only bought because your ex boyfriend was 5’6? Well guess what, you finally have a reason to bring those back. Welcome back the Kitten Heel. This shoe is super feminine without the consequences of a six-inch pump. This non-committal heel is perfect for those breezy spring afternoons. A little extra height, a little extra swag, platform sneakers are the must-have piece you have been missing. Arguably the most versatile shoe listed, platform sneakers are the ultimate combination of comfort and style. The see-through boot has been iconized by Kim Kardashian and those brave enough to follow the Yeezy trend. Never before has a boot been THIS transparent. If you want to stand this spring, give this trend a try, just remember to wear foot deodorant as it might get a little steamy! Need a shoe that represents you? Enter the mule. It’s fun, flirty and super classy. The thick heel and open back makes this the staple heel you have been needing. Want to bring your boring work apparel some new life? We have the perfect shoe for you. From leather to embroidery, there is a trendy statement loafer for every workingwoman. The ideal shoe for that girl who’s always on the run – the slide. Slip into these casual shoes on any given day and your feet will thank you later. Become the ultimate “hypebae” with the ugly sneaker trend. 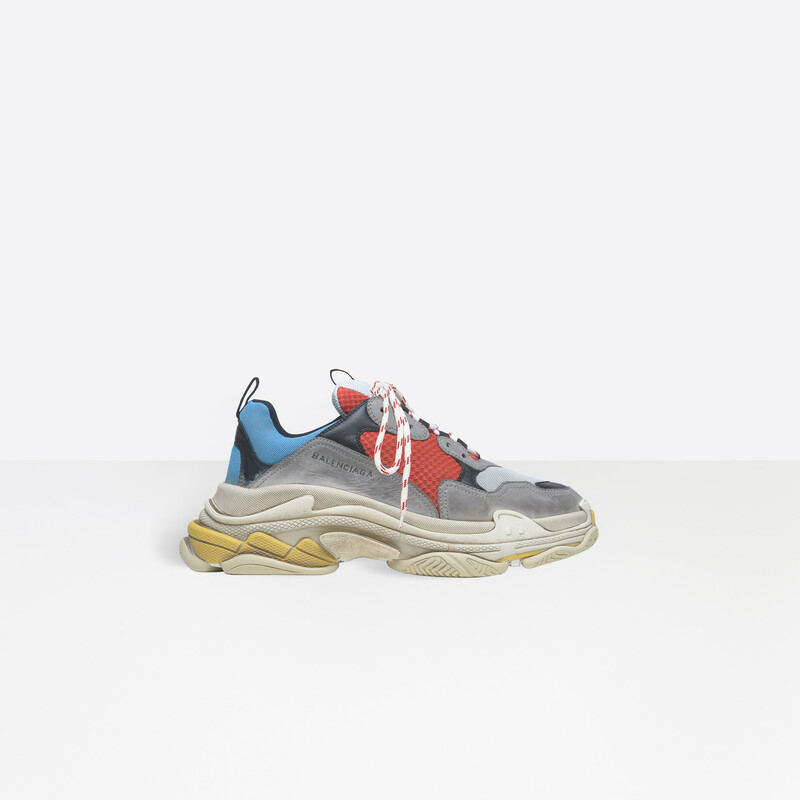 Depending on personal opinion, you with either love this trend or shake your head in shame at the comeback of the sneaker that looks like something your dad might have worn back in the day with a pair of hiked up sweatpants. See yourself this spring in the dad shoe. Keep it laid back with a pair of lazy trousers, or play it cool and match it with a leather mini skirt. Casual, comfy and so cute, you won’t want to take these off. Available as a platform or a flat, espadrilles will be your new everything shoe. Perfect with your favourite pair of jeans or a casual spring dress, this shoe is super adaptable.